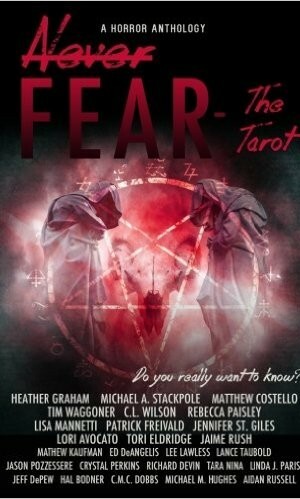 13Thirty Books asked twenty-six leading genre authors to agree to write stories based on the Tarot, with the cards determining which stories the authors would write. To determine who would write what story, 13Thirty Books took a tarot deck and a list of all twenty-six names. For each author’s name, 13Thirty Books shuffled the tarot deck and draw a card. The card was removed, the deck was reshuffled, and the next name was read off. That tarot card and its traits were all the authors had to go on. This anthology contains twenty-six stories based on the twenty-two cards of the Major Arcana and the four cards of the Minor Arcana. 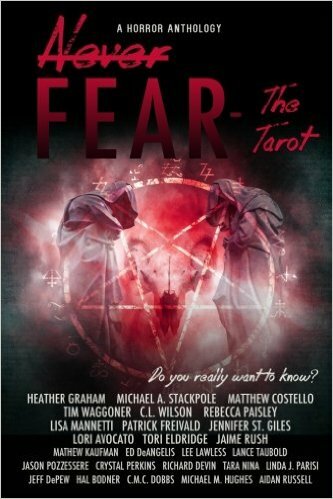 Award-winning and New York Times bestselling authors combine their talents to deal out twenty-six dark tales influenced by the Tarot. This anthology contains stories authored by Heather Graham, Lori Avocato, Michael M. Hughes, Tim Waggoner, Tara Nina, C.M.C. Dobbs, Michael A. Stackpole, Matthew Costello, C.L. Wilson, Tori Eldridge, Lisa Mannetti, Patrick Freivald, Jamie Rush, Rebecca Paisley, Edward DeAngelis, Richard Devin, Lance Taubold, Jeff DePew, Lee Lawless, Hal Bodner, and Jennifer St. Giles, with bonus stories by Jayne Belmont and Janice M. Jones. C.L. Wilson’s story contribution is her first return to the Fading Lands since the conclusion of the Tairen Soul series, a short story about Shannisorran vel Celay. Based on the Ace of Swords, the short story, A Good Day to Die, finds Shan setting out on what he intends to be his last battle as he leads his men into the hive of a powerful Drogon Blood Lord.